Ross & Cromarty Roots | John & Peggy Macrae, s. Finlay. John & Peggy Macrae, s. Finlay. In memory of/FINLAY MACRAE/Forty Mellon Charles/died 31st December 1934/aged 44/also father JOHN/and mother PEGGY/buried nearby. Picture Added on 20 October 2010. 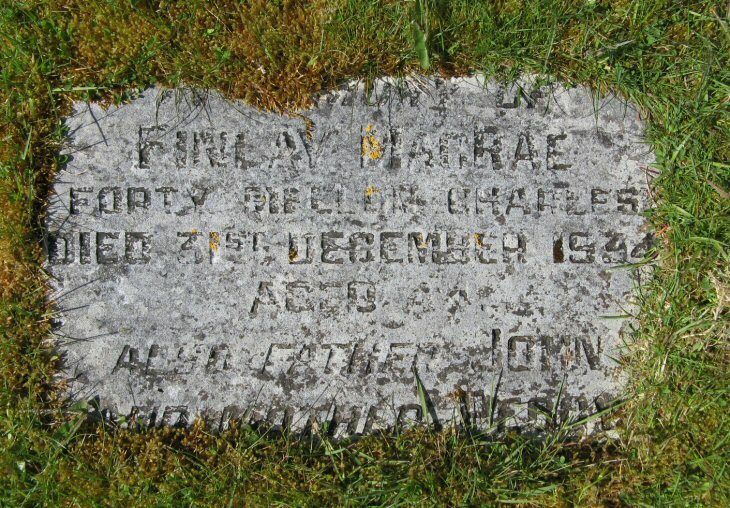 I believe this is the gravestone of my Grandfather Finlay MacRae. My Father told me he was in a car accident as a predestrian on 24th December and died a few days later. Added by Dave MacRae on 12 September 2018.